The off-season may feel like an eternity for many student athletes but with the help of a local hockey academy, staying active through different sports before returning to the ice has now taken shape. 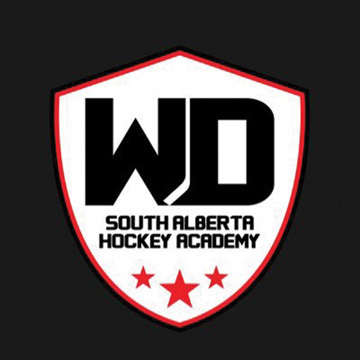 The Willie Desjardins South Alberta Hockey Academy in conjunction with Rural Futures and Prairie Rose School Division has added the Summer Institute starting this year with a hockey, volleyball and rodeo program. In the programs, players will receive cutting edge ice, court and arena sessions, the opportunity to fast-track your high school program, upgrading your existing marks and completing your prerequisite courses. “I started thinking about your normal hockey school that has on ice-class rooms and dryland,” said Darren MacMillan, an assistant with the hockey academy. MacMillan says if it the programs take off like he envisions they do then it will create an atmosphere. “The atmosphere of having these kids on the ice at the Irvine rink, kids over on the rodeo grounds and in the gym (playing)volleyball,” said MacMillan. If a student participates in the two week program, they will complete a non-diploma three or five credit course of their choice. The one week participants will complete two single credit REC modules and receive an additional credit for sport specific training principles. Week 1 of camps will be from Aug. 12-16 and Week 2 will be Aug. 19-23. All sessions will be held at the Irvine Sports Complex and the school’s gymnasium and classroom. Registration is now open for all students born between 2001 and 2004. Applications can be downloaded from the Prairie Rose School Division’s website at http://www.prrdweb.com. The package can be submitted through sahockeyacademy@prrd8.ca or can be delivered to the school division’s office in Dunmore.